Multiple sclerosis (MS) is classified as a inflammatory demyelinating disease due to the disruption of the protective sheath around the nerve (myelin sheath). 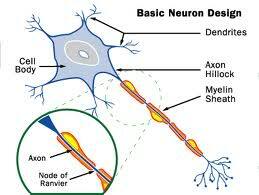 The myelin sheath is essential for the transmission of electrical impulses and important for many functions of the body. Damage to this nerve covering can lead to a diversity of symptoms. MS affects the brain and spinal cord. It is estimated that there are at least 8000 people with Multiple Sclerosis (MS) in Ireland. Symptoms are diverse and can vary significantly from one person to another. They are often unpredictable and disruptive to daily living and for this reason it is a very challenging condition that requires input from all team members. Disease modifying drugs which have a primary impact on the disease process, eg betaferons, but which to date are only partially effective. most importantly disruption to functional activities. Many of the above mentioned symptoms can respond to Physiotherapy input. Early intervention by a skilled Neurophysiotherapist will identify physical impairments, their impact on function and establish an appropriate long-term management plan. Monitoring your condition. Monitoring is essential if changes to management and treatment planning is required. Any changes are identified through a detailed history, and re-evaluation of assessment markers. Providing active intervention on a regular basis as required. Treatment will combine hands on work with movement re-education and exercise prescription. Provision of a tailored exercise program to address specific problems eg weakness, stiffness, strength, fitness. This can often be carried out at home or incorporated into a gym regime under our guidance. A short burst of treatment. This could take the form of 6 – 8 sessions and can be very valuable when specific problems need addressing (eg strength, pain) or if there been a deterioration in symptoms. Regular communication with other professionals eg Occupational therapist, speech therapist, orthotist, podiatrist ( shoes inserts), doctors, nurse specialists, family and carers is essential for continuity of care and optimal management of symptoms. Ordering and provision of equipment or referral to the appropriate professional where specific appliances are made for individual requirements eg orthotics. Given the progressive nature of the condition it is common practice that we would see an individual for many years but often on an intermittent basis when issues arise. The frequency of visits will really depend on the extent and pattern of symptoms, your goals and what we as clinicians can achieve through active intervention. A recent profiling study of people with M.S. in Ireland was undertaken at the request of M.S. Ireland, whose members valued Physiotherapy as an integral part of their management but complained of the lack of input. The findings were surprising and supported their complaint that the amount of Physiotherapy they received was low. A larger study is currently underway in Ireland looking at the importance and value of exercise with Multiple sclerosis. “Getting the Balance Right” programme which you may have heard of or taken part in. The results are extremely positive and support evidence that structured exercise programs can improve many of the physical impairments that we as physiotherapists treat – weakness, balance, functional limitations.